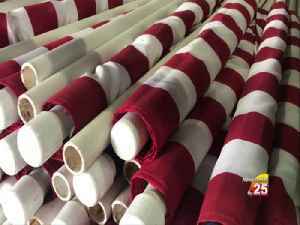 Everything was going great for the Brewers ... until it wasn't. 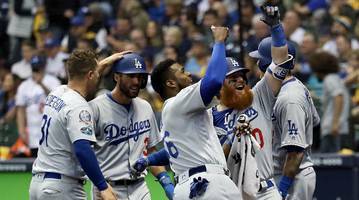 The Dodgers mounted a late comeback in Milwaukee to tie the series after two games. 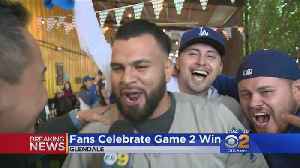 Dodgers fans across the Southland are celebrating the team's big NLCS Game 2 win at the Brewers. Jeff Nguyen was with some loud and passionate supporters of the Blue Crew in Glendale. 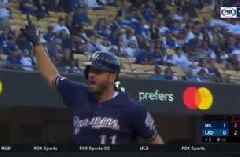 Mike Moustakas and Orlando Arcia each went yard in the Brewers' game against the Dodgers.